Mixer serves as a mixing sound, a mixing console, whether it is analog or digital, or also called a soundboard / mixing desk (soundboard) is an electronic device that functions blends (more popular with the term "mixing"), setting a path (routing) and change the level, as well as the harmonization of the dynamic of the audio signal. Signal - the signal that has been modified and set later corroborated by a final amplifier or power amplifier. Audio mixers are widely used in a variety of purposes, including recording studios, system calls the public (public address) systems, sound reinforcement, broadcasting both radio and television, post-production and film making. An example of a simple application, a musical performance, for example, it is not efficient if we use each amplifier to amplify any part vocal sound good singers and musical instruments played by the accompanying band. Here Audio mixer will be an important part as a collecting point of each microphone is plugged in, set the size of the sound level so that the sound level good balance of vocal and music will be reached before amplified by an amplifier. Mixer is one of the most popular devices after the microphone. 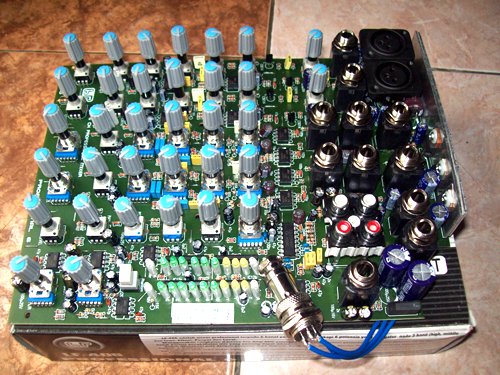 We know him as a mixer, probably most of us call it that because its function is to mix all incoming voice, then shortly seimbangkannya, making salura two channels (LR if stereo, and one that mono), then send it to the cross-over of new active fed to the power amplifier and the latter to the speakers. Mixing console receives various sound sources. Can the microphone, musical instrument, CD player, tape deck, or DAT. From here can easily be done setting the input and output levels ranging from very soft to hard. If we suppose an audio system iu suppose that as the human body, snake cable can we assume as the nervous system, and the mixing console as the heart. 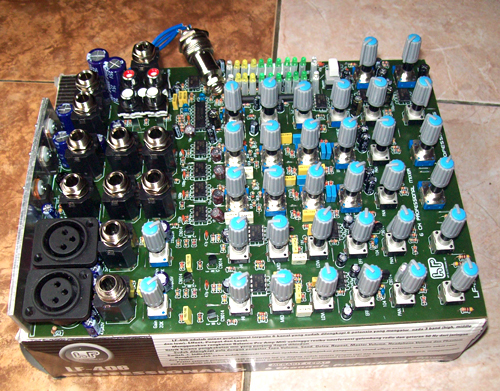 This mixer is equipped with 6 potensio which set the tone 3-band (high, middle and low), Effect, Panpot and Level. Using Pre Amp circuit MIC so that the risk of radio interference and vibration gekombang 50 Hz from the power grid for a long mic wiring can be avoided. Already equipped regulator Tape Volume, Send, Delay, Repeat, Master Volume, Headphone Volume and Phantom Switch + indicator. The series has become one effect cho and covet use external sound effects, available sockets send and return. 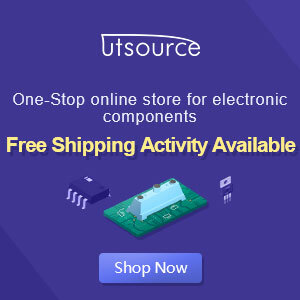 Position the entire pot, socket and stereo led VU display has been arranged in a neat and compact in a single PCB, simplify electronics hobbyists to create their own a professional mixer high quality.